There are a few songs that no movie about the 1960s should be allowed to use ever again. “Fortunate Son” is one of them. “All Along The Watchtower” is another. Cueing up one of these tracks sends a clear message to the audience: We won’t be showing you the ’60s, but “the ’60s,” a version of the decade informed entirely by cliché, received wisdom, and pop-culture osmosis. We are seeking a nod of recognition and that is all. In his tone-deaf directorial debut American Pastoral, Ewan McGregor dusts off one of these played-out jukebox signifiers: “For What It’s Worth,” that mellow movie-trailer staple from Buffalo Springfield, written about the curfew riots of 1966 but widely reclaimed as an anti-war protest song. By the time the tune arrives, however, its comforting dings announcing a clash of culture and counterculture, McGregor has already committed to a vision of the ’60s you’ve seen many, many times before. So why blame him for cribbing from Forrest Gump’s playlist? There was reason to expect more from American Pastoral, and just as much reason to figure it was doomed from the start. The film is based on the 1997 Pulitzer prizewinner by Philip Roth, one of the author’s most widely, wildly acclaimed novels, which is saying a lot. Consensus holds that Roth’s work is basically unadaptable—that its appeal usually lies with its big ideas about American and Jewish culture, which can be hard to communicate, or with the prose itself, which is impossible to reproduce. All the same, people keep trying, probably because Roth (unlike, say, a contemporary like Thomas Pynchon) writes stories theoretically straightforward enough to film. If this year’s awkwardly paced Indignation felt like a square peg crammed into a round hole, American Pastoral suffers the opposite problem: It’s been sanded into a prestige object, a Great American nothing of a movie. McGregor was already signed on to star when Australian journeyman Phillip Noyce vacated the director’s chair. Was the actor eager to get behind the camera and or did he do it because no one else would? Either way, his first move as director should have been to cast someone else: As Seymour “Swede” Levov, a Jewish former football hero in postcard-pretty 1960s Newark, McGregor transmits a kind of gee-whiz blankness; like the movie itself, he’s all handsome surface, and only a few degrees removed, on the recognizable human behavior scale, from the pie-eyed dreamer the actor played in Big Fish. McGregor’s empty grin flips upside down when obstinate, stuttering daughter Merry (Dakota Fanning) disappears, having apparently bombed a post office to protest the Vietnam War. As he attempts to track his missing child down, Swede’s perfect suburban life—and his prototypical shiksa goddess wife (Jennifer Connelly)—comes completely unglued. A more incisive film would burrow deep into the compounding despair, and the obsession, of this searching everyman. But that would require treating Swede as a character, rather than just an emblem of his generation, bewildered by the actions and values of the next one. 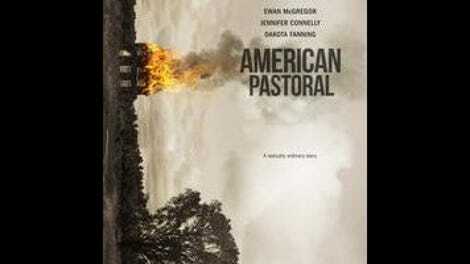 American Pastoral ticks off the years without much change in urgency; besides one howlingly campy seduction scene in a hotel with one of Merry’s counterculture comrades (Valorie Curry), the movie is too polite, too damnably respectable, to ever spiral into true madness. As an actor, McGregor holds us at a remove. As a director, he works in shorthand: verdant green fields to represent the good times, shadowy noir alleys for the bad ones, Nixon on the TV, a fluttering flag outside the blown-up building. He’s more consistent with the camera than he is with his costars; performances range from inexpressive to histrionic, with Connelly looking especially lost once her sorrow hardens into a Stepford vacuity. Only Fanning seems like a real live human, mostly by virtue of getting to spew the most Rothian bile. All of this cliff-notes drama comes with a class-reunion framing device straight from the novel, as the Swede’s brother regales the author’s regular alter ego, Nathan Zuckerman (David Strathairn), with the story of what happened to the star athlete they both loved. These bookends are stilted, but they at least help account for why McGregor’s depiction of America seems vaguely ersatz, like realism that quit halfway to satire: This is a memory we’re watching, so of course it’s going to be vaguely distorted, its cracks plugged by cliché. 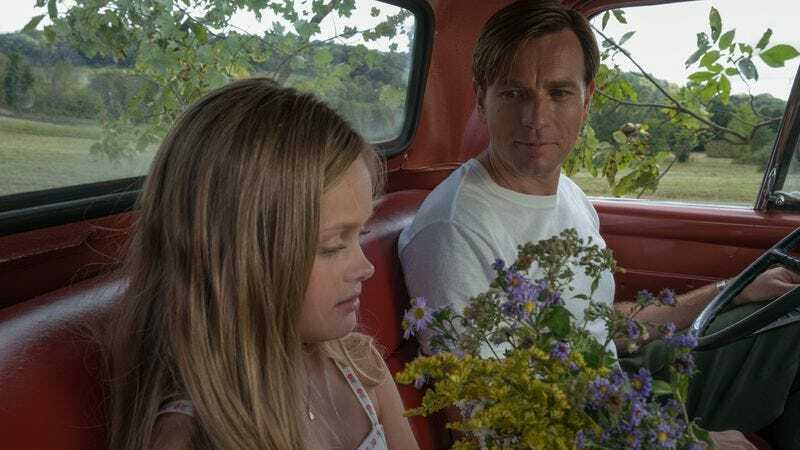 Even if you buy that, though, American Pastoral still gives off the strong impression of a rich, complicated story that’s been flattened of its nuance. McGregor makes almost nothing of the Swede’s Jewishness, and how it makes him especially susceptible to a fall-from-grace in ’60s America. And while Roth may have symbolically exaggerated both ends of the generational divide, one could walk out of this adaptation assuming they’d watched a film about how the counterculture was just a bunch of dicks who ruined their parents’ lives. At least Buffalo Springfield is around to croon out the counterpoint.